The person who does your bookkeeping has access to some of the most confidential and private information in your business – money! They may even be paying your bills online. You need to be sure you have sorted out data security, GDPR and a lot more. From hours to tax, and access to customer records, there are lots of things you need to sort out and discuss. These are things that will come back to haunt you in the future if you do not sort them out now. You can get straight to the sweet spot and just add the special bits that make this work for you. This is not a general freelance agreement you have to wade through with lots of things that have nothing to do with the way you need to manage your Bookkeeper. It covers vital areas such as data sharing and cloud working. You might want to know that we thought about where you want to be when this relationship ends. You won’t want problems getting information back, or moving forward in your own business. You can’t hang around as more aspects of bookkeeping connect to real-time reporting. Don’t find out the hard way you didn’t contract for what you need – by then it is too late! We use external bookkeepers, and do our accounts in the cloud. We have added our own experience of working with bookkeepers to more than 30 years of creating agreements and ways of working that help you grow your business without getting buried in compliance. If you need an additional Bookkeeper or a replacement – don’t worry. You can re-use the same hiring agreement again! And if you love it so much you just want to share it with your friends or associates or mastermind, ask about our affiliate scheme. If they’re a sole trader, there is an appropriate option for that. You just select the element that fits. If you don’t know whether your Bookkeeper does have a company, check out our blog post. It’s so easy to put it off, but it only takes a few moments to sort this out. 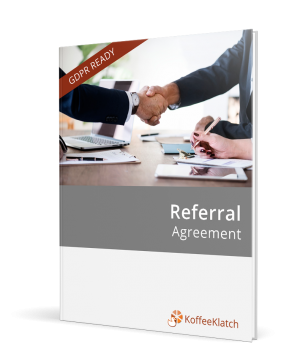 Download the agreement and go through it with your new Bookkeeper. You two can have a conversation about what you need and why. You’ll find that this added clarity is a bonus to your working relationship. If you are not sure what it all means, just pop into to our customers only Facebook group and ask any questions you may have.